ACCESSORIES There are 207 products. 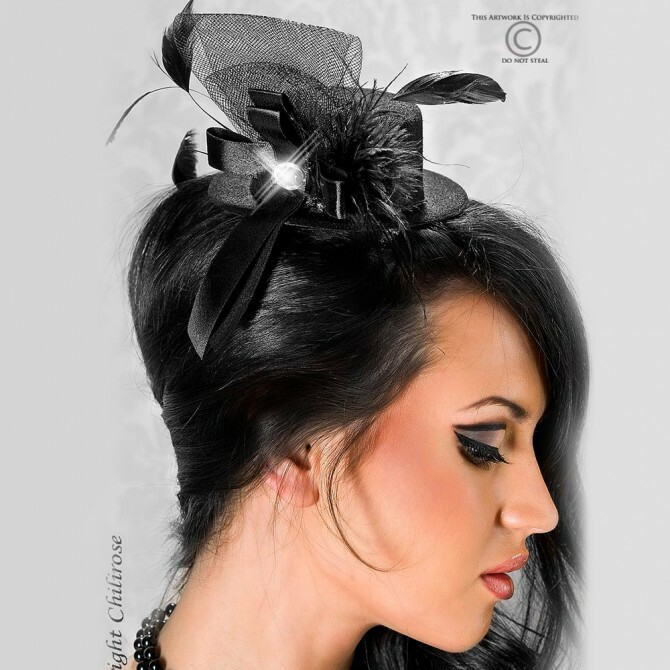 A unique hair ornament perfect to use at a glamorous party. 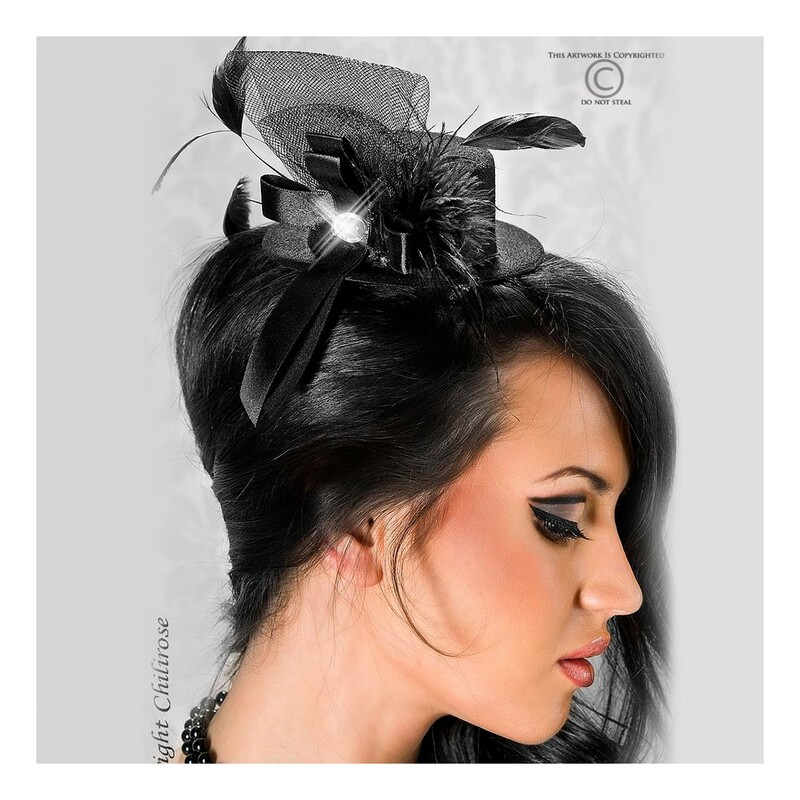 This elegant mini-hat has a lovely bow made with net, white feathers and two lovely mesh veils with different patterns.